I met Jane C. M. Eldred in a 24PearlStreet class. She was working on what she called a "longish sonnet sequence" that intrigued me. When her publisher asked me to review More Sonnets from the Portuguese, I was excited to see the completed project. While Janet has other works of prose, this is her first book of poetry. Janet C. M. Eldred grew up in California's San Joaquin Valley. She is currently Chellgren Professor at the University of Kentucky where she teaches creative nonfiction, editing, and literature in the English Department. She is the author of Sentimental Attachments (Heinemann, 2005), a volume of creative nonfiction, and Literate Zeal: Gender and the Making of a New Yorker Ethos (University of Pittsburgh Press, 2012), a look into the editing practices and editorial secrets of The New Yorker magazine. Janet C. M. Eldred's first book of poetry More Sonnets from the Portuguese is a story-in-verse, a book of sonnets that chronicles the rekindling of an old romance that occurs when two college lovers find each again on the internet. The title and premise of the book are inspired by Elizabeth Barrett Browning's famous book of love poems Sonnets from the Portuguese. Browning began the sonnet sequence while she and Robert Browning, who would later be her husband, were courting. Robert's nickname for Elizabeth was "little Portuguese," hence the title of her book Sonnets from the Portuguese. While there was nothing really "Portuguese" about Browning's book, in Eldred's book, the main character, Zélia Nunes, is an Azorean-American widow who lives in California’s San Joaquin Valley who is learning to speak Portuguese. Husband dead, four children, mortgaged, harried. Dinner cooked. Children washed. The laundry hung. dumped in a heap with diapers and dung. stacked, in no particular way, varied. The children cry out, a hard burst of lung. At night, under cover, I conjure you. At daybreak I awake, dressed, blessed with dew. to whisper now for partial indulgence? many Hail Marys. No absolution. The book also lingers a bit in Zélia's childhood. The second section titled "Extraordinary Time" contains a sequence of poems that are an extended treatment her father and the family's pet rabbits. This sequence turns on the motifs of death and of heat and thirst, for example in the poem "Animal Husbandry" Zélia shares that her father "grew up on a small farm, poor. He knew what to feed rabbits," but that, after moving from the Azores, he "didn't anticipate how [the rabbits] would suffer in San Joaquin heat" ("Holding the Quick Shiver.") Another poem in this sequence, "I Have Always Been Careless," demonstrates Eldred's skill with image and juxtaposition. She deftly brings the narrative arc from that of her childhood and father back to the love story by juxtaposing a scene of rabbits, death, heat, and thirst with a scene of her lover in the shower. 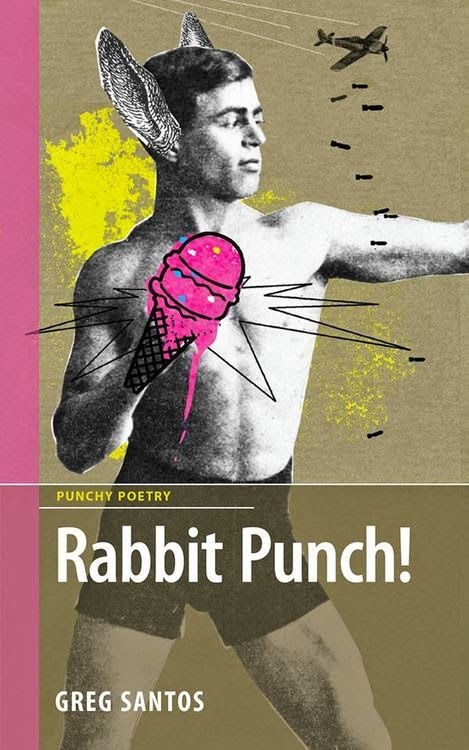 In the poem (which you can read here), the first stanza concerns Zélia's rabbit who was convulsing, dying from thirst, and her father's quick action in what could be read as a mercy killing. In the second stanza, Zélia's lover is in the shower with her. Eldred establishes a compelling parallelism between the rabbit scene and the shower scene. Both stanzas have someone with ample water and someone who thirsts. Both stanzas have someone who is careless and someone who suffers from neglect due to the carelessness: In the first stanza (the dying rabbit scene), Zélia is the one with ample water (“the city pool”) and the rabbit is the one who is dehydrated (“his bowl / of water dry”). In the first stanza, it is Zélia who is careless and the rabbit who suffers from neglect. However, in the second stanza (the shower scene), it is the lover who has the ample water ("cool water flowing," "shower") and Zélia who is dehydrated ("I thirst"). This sets up a parallelism which transfers the attribute of carelessness to the lover (the one with water) and the expectation of suffering to the narrator, Zélia. In the final couplet "My dear, you probably shouldn’t be / in my shower, yet through some grace, you are," the word grace hints at something positive and uplifting. However, since Zélia's lover is not actually there at this point, it makes the poem more poignant, as if the water were a mirage, as if her lover and/or their love were a mirage as well. In addition to death, heat, and thirst, other motifs in the book include fire, destruction, husbandry, and one that I find especially intriguing—technology. Technology is critical to the story, since the lovers reconnect online. References to technology are peppered throughout the book. For example, the poem mentioned earlier, "And Yonder Breaks," is made up entirely of texts. Poems mention social media, e.g., "photoshopped Facebook fluff" ("You Knew Me Then") and "an admirer on Twitter who goes un-blocked, unfollowed ... A mere Facebook friend can leave a trace" ("If a Tree Falls in the Forest... .") There are references to computers and hardware, e.g. "I am officially a Kindle / girl—I just bought one—" ("Kindling") and "the bright LEDs of a Silicon Valley night" ("Steadfast.") One poem even involves an online game: "I want to warn / you, Hug your loved ones. Beware the cyber / Day of Zélia’s Warning, the public scorn." ("Day of Zélia’s Warning" is name of a holiday in Elanthia, an online world of the medieval fantasy game called DragonRealms.) While Eldred applies the sonnet form to the classic subject of love, the generous inclusion of technology lends a decidedly contemporary quality to the poems. The theme of religion threads the book together not only in diction and imagery, but in structure as well. There are 52 poems, completing a liturgical year. There are six sections, each of which can be mapped to six seasons in the Catholic Church's calendar. The invocation of a liturgical cycle becomes evident in the penultimate section "Ordinary Time." For example, "Fast Tuesday, or or Time to Shatter the Bones," has a strong pre-Lenten feel to it. Fat Tuesday is the last day of Carnival, a celebration that historically includes, in some places, the indulgence of sexual desires. It's the day before the start of Lent—Lent being a time of self-examination and reflection—which can be detected in the reflective tone of the poem, e.g., “I thought of you when my husband was alive. / I felt that certain specific happiness, / one that in some odd way, I could count on.” At the end of the poem, Zélia tells her lover “it’s time to shatter those bones again, / this time, exhaustively, lovingly.” When taken in light of Lent and the impending crucifixion, those lines about shattering bones suggest a metaphorical gesture to hasten the death the love of the affair: a person’s legs were usually broken after being crucified to speed up their death. The liturgical and Lenten emphasis becomes even stronger in the last section titled "The Time of Atonement." That emphasis can be seen in the poem titles themselves, e. g., "Lenten Dreams," "Prayer of the Penitent," "Act of Contrition, "Memorial," "A Ritual for Letting Go," "Liturgical Time." The liturgical calendar is explicitly referenced in the poem "Liturgical Time." (The poem is printed below.) In the poem, the speaker is contrite and proclaims a dependence on grace, living moment to moment through repeating cycles of life, and through the seasons of Ordinary Time, those enumerated weeks that fall outside the major seasons, suggesting an ordered life of quiet growth and maturation. 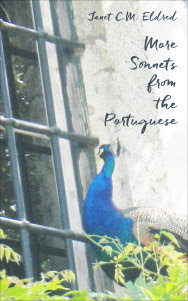 More Sonnets from the Portuguese is an ambitious sonnet sequence, given its marriage of the religious and the carnal and its strong parallels to Browning's acclaimed book Sonnets from the Portuguese. Eldred's sonnets are varied and skillful and her ability to maintain a narrative in lyric form is admirable. Her use of playful language and the role she gives to technology bring a freshness to a classic story line. vapor, our restless aims…Sin’s translucent trace. without-you hours in silent reflection. year after year of advent, pain, and praise. Endure suffering. Rejoice the risen. Dance in tongues. Ordinary Time again. Nancy Chen Long is a National Endowment of the Arts creative-writing fellow. She is the author of Light Into Bodies (Tampa University Press, forthcoming 2017), which won the Tampa Review Prize for Poetry, and Clouds as Inkblots for the Warprone (Red Bird Chapbooks, 2013). You'll find her recent and forthcoming work in Prairie Schooner, Ninth Letter, Alaska Quarterly Review, Pleiades, Zone 3, Briar Cliff Review, Bat City Review, and elsewhere. Nancy received a BS in Electrical Engineering Technology and an MBA, worked as an electrical engineer, software consultant, and project manager, and more recently earned her MFA. As a volunteer for the local Writers Guild, she coordinates a reading series and works with other poets to offer poetry workshops. She lives in south-central Indiana and works at Indiana University.